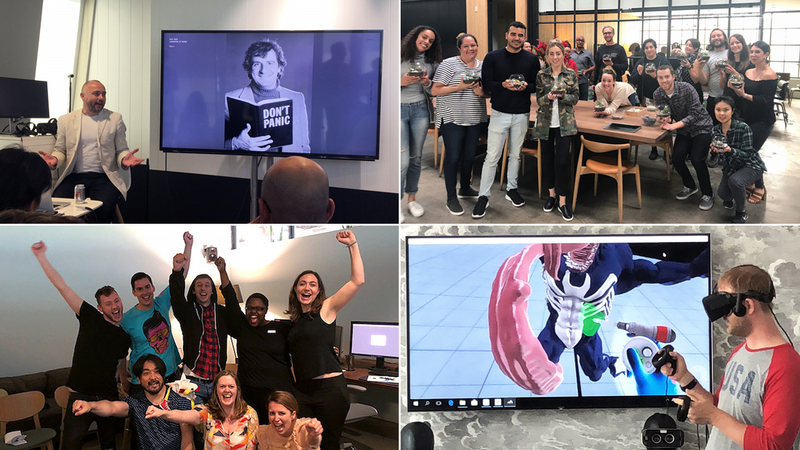 Mill studios once again took part in the annual Learning at Work Week campaign, which aims to put a spotlight on the importance and benefits of learning and development at work. Each studio hosted an epic series of events, talks and workshops around this year's theme, 'Networked for Learning'. 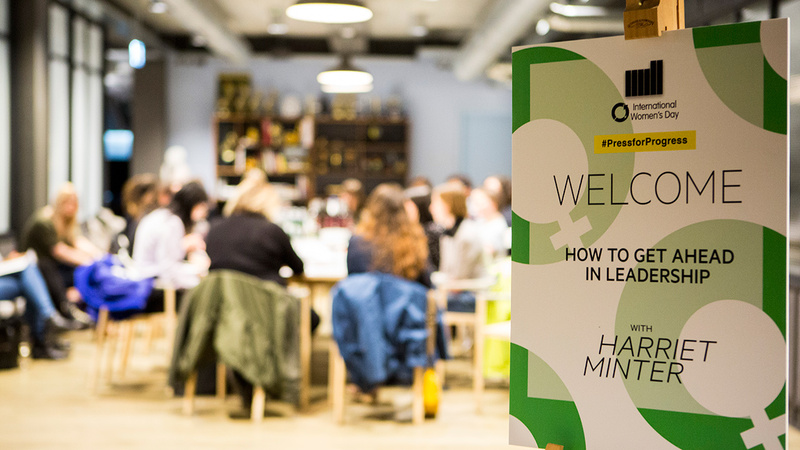 Take a look at how we explored themes of connection, networking, storytelling and creativity across London, New York, Los Angeles and Chicago. Devised by the wonderful Simon Devereux, Group Head of Learning & Development, and Derin Bamgbelu, Learning & Development Assistant, this year's week-long schedule was even bigger and better than ever before. Throughout the week, Windmill Street played host to a blend of bite-size and hands-on workshops, breakfast sessions and lunchtime talks. Mill artists attended a playful and quick practical workshop on 'Screen Printing', hosted by Sarah Simmonds, artist and founder of the Portable Print Studio; as well as two 'Wildlife Drawing' sessions, which gave attendees an opportunity to study and draw animals in a typical life drawing setting. Founded in 2014 by artist Jennie Webber, Wild Life Drawing's aim is to inspire appreciation and understanding for the natural world through creativity, as attendees draw and learn about the animals, their habitats and distinct characteristics. Mill Design Directors Will Macneil, Ross Urien and Adam Parry hosted 'Ideation Is A Four-Letter Word', a workshop in creative problem solving where artists explored in and out of the box thinking. The week also included a program with the Abracademy, a learning and development company using magic as a tool, combined with skilled facilitation, to bring real magic to L&D training programmes. 'Create Magic' explored unlocking curiosity, the human ability to wonder and looking at things from new perspectives, all while learning some cool magic! In line with this year's theme 'Networked For Learning', Mill regular Reuben Milne looked at networking from a different perspective in a 90 minute taster session. Rather than a good handshake, participants looked at two things when starting off any conversation - who you are, and who they are. Throughout the week, Mill New York offered a great mix of both interactive workshops and demos. The week included events like The Real-Time Animation System Demo, offered by Mill+ Creative Director Jeffrey Dates, who puppeteered Monster.com's latest character, Vonster, live for attendees. Mill artists also hosted sessions on popular programs like 'Oculus Medium' with Adam Dewhirst, Modeling and Texturing Supervisor, who guided attendees through Oculus' leading sculpting package, as well as sculpting a creature live; and 'Intro to Compositing' with Creative Director Corey Brown, who talked through the basics of lenses, optics, making things look real, and Nuke versus Flame. Both "modern" and traditional methods of 3D sculpting were explored with a 'Tilt Brush Demo' by Wyatt Savarese, Technical Artist, who explained the basic fundamentals of workflow and demonstrated how to use the software to paint in virtual spaces; and 'Sketching with Clay' with Paul Liaw, Modeling Lead, who guided attendees through the process of translating a drawing into clay. Local magician Samuel Gherman hosted the workshop 'VFX in Real Life', which offered the opportunity to learn professional magic tricks that look like special effects in real life, giving away a few of his secrets and explaining the elements of an impactful illusion. On the theme of connection, Mill NY Marketing Manager Isabelle Du Plessis hosted a workshop on 'Social Media 101', explaining how to build your personal brand and social following; and Corporate Coach Henry Caplan hosted the 'Improve Your Networking' workshop. Mill staff could also wind down with 'Sound Bath Meditation', a deeply immersive and meditative sound experience with writer and yogi Arianna Bickle; and a 'Rosé Crash Course' with Tess Rose Lampert on the studio rooftop. Following last year's inaugural launch of Learning at Work Week in the Los Angeles studio, this year saw two exciting weeks of talks and workshops. 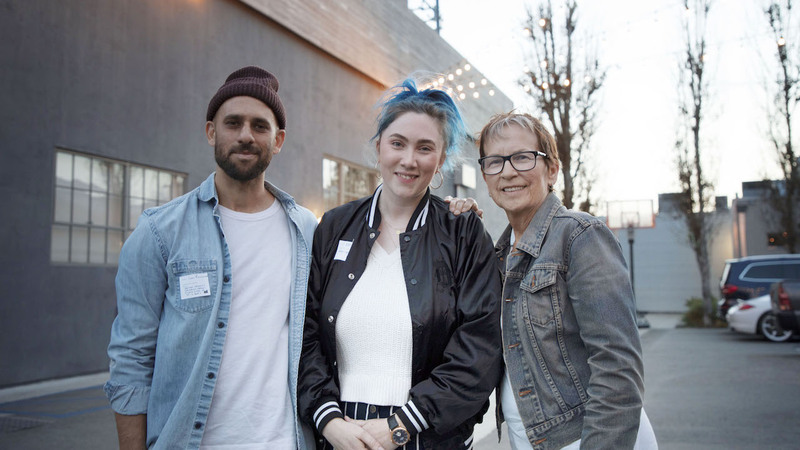 Mill LA's second annual installment, aptly named Learning at Work Week(s), comprised fun, hands-on activities interspersed with industry-focused topics to create an enriching, engaging program for staff and clients alike. Close friends throughout the industry joined in for a broad variety of talks and presentations, including a special visit from Director of Photography Bill Pope (The Jungle Book, The Matrix, Baby Driver, Beck 'Colors') and intimate Q&A sessions with pals from across the agency spectrum. Mill LA's very own in-house experts shared their insights as well, from a 'Lesson on HDRI' by Ed Boldero, Lead VFX Artist; to 'Colour Workflow' by Adam Scott, Head of Colour; to a sneak peek into the ultra-organized 'Project Management Skills' of John Miller, Pipeline Supervisor. Attendees were also treated to a deep dive into some of Mill+'s greatest work courtesy of Elizabeth Newman, Executive Producer, and Lisha Tan, Creative Director; a 'Real-Time Pipeline' review by Patrik Lindkvist, VFX Artist; and 'Bidding Do's and Don'ts' from Pete King, Executive Producer, and Robert Sethi and Tara DeMarco, Creative Directors/VFX Supervisors. And it wouldn't be a proper Learning at Work Week(s) without a bit of craftiness in the form of t-shirt screen printing (featuring original designs by the folks of The Mill LA), indigo dyeing, terrarium making and whiskey tasting, 'Whiskey's An Art, Too'. This was all balanced, of course, with practical lessons such as CPR certification training, plus bike maintenance for the many cycle enthusiasts among us. With far too many activities to recount in detail here, the brilliant minds of Mill LA are armed with new learnings, skills and tasting palettes and already looking forward to 2019! Mill CHI kicked the week off with an inspiring talk by Chicago artist / Instagram celebrity, Swopes, who can create amazing art with just her phone and some daily dedications - and that's just what she does! On the heels of last year's roaring success, Mill CHI also brought back the lovely improv coaches, screen printing instructors and an incredible sculpting class in Pilsen. Mill creative leaders imparted their knowledge throughout the week with 'Shoot Supervision 101' from Jay Bandlish, Mill CHI ECD; 'Colour 101 + Pipeline' with Colourist Mikey Pehanich; '3D 101' with Adam Carroll, Head of 3D; and the incredible parallels between the cooking world and the 2D world with the incomparable Randy McEntee, Head of 2D. Wednesday was a special one with Jeff Boddy, Head of Design, who, in preparation for his talk at OFFF Barcelona, gave his presentation, 'The Incredible Shrinking Budget', in front of 90+ people from the local Design and C4D community and loads of staff. It was so inspiring to hear from him and his perspective on the ever-changing landscape of the advertising industry, and how it's necessary as an artist to constantly reinvent yourself and push the boundaries of creativity. 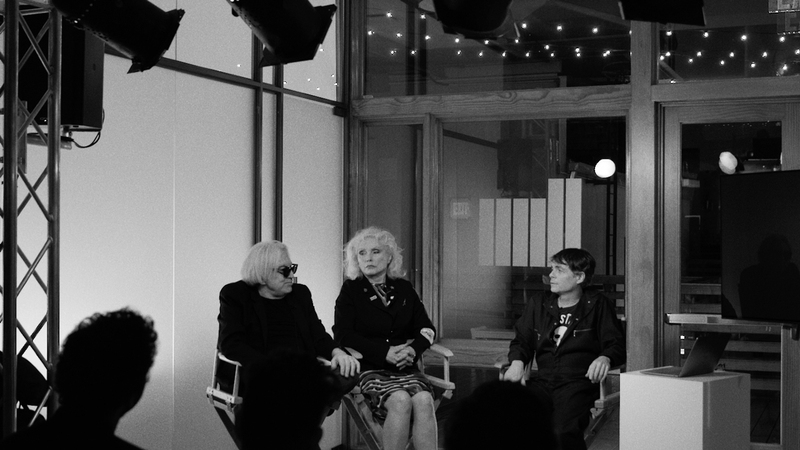 It was an amazing evening for the studio and also provided the opportunity to meet some of the city's most impressive creatives. The studio also took advantage of the momentous occasion of Prince Harry and Meghan Markle's impending (at the time) nuptials and relived some of the most historic weddings of this century while sampling delicacies from the UK like strawberries and cream, and digestive biscuits coupled with tea. Everyone was Royal Wedding ready by then! The week of learning wrapped with a wine and cheese tasting hosted by Colette Murray, Head of Talent, and Morgane Moulherat, Marketing & PR Manager. From Gamays from France to Rieslings from New Zealand, paired with Bleu D'Auvergnes and Cheddar, the team ended strong!